From 2018 we are delighted to be lending our helping hand of love towards the Ronald McDonald House Oxford, and we are now working towards achieving an ambitious £5,000 to fund a family room in our name! Ronald McDonald House (registered charity 802047) provides free 'home away from home' accommodation for families who have children being treated downstairs at the Oxford Children's Hospital. For example, many families travel from all over the United Kingdom whose babies, children and teens require specialist surgery. The current facility has 18 en-suite bedrooms on the top floor of the children's hospital where families can stay while their sick child is being treated. Each bedroom sleeps up to four people, the accommodation is free of charge and families can stay for as long as they need. Currently the Oxford House is oversubscribed and has to turn more and more families away, due to exceeding demand than they can provide - we want to help change this! ​Annual running costs for the House total £290,000, and in 2017, Ronald McDonald House and the Oxford Hospitals Charity teamed up. 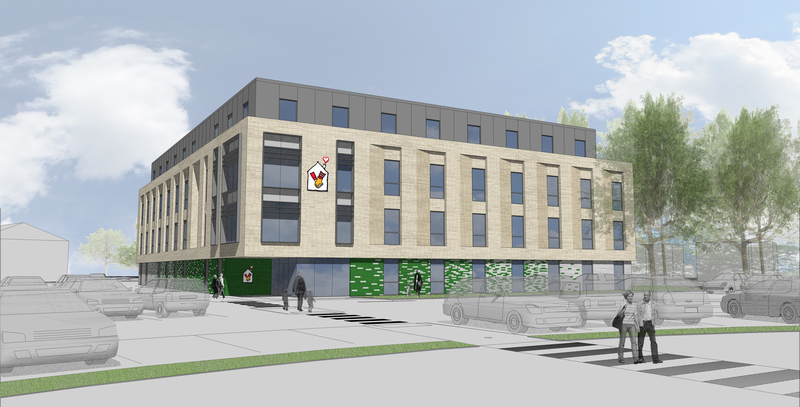 £2.5million from funds raised by the Hospital Charity will go towards the cost of building a brand new Ronald McDonald House on the John Radcliffe site that will cost £14million. Planning permission was granted in July 2016, and building work begun in December 2018. The Ronald McDonald House is more than just a place to stay and has a welcoming communal playroom, lounge and kitchen where families can cook, chat and share their experiences. In October 2018 we held our first ever Rock and Roll Bingo Night which was a success, from a packed room of guests, and raised £280 towards the House, and half of the proceeds raised fron a danceathon last September benefited House funds. In 2019, we will be holding a Spring Rock and Roll Bingo Night on March 7th and further fundraising to help Ronald McDonald House achieve this enormous goal. Our rock and roll bingo nights are bingo with a twist - instead of the traditional form of bingo, songs and artists across four games from different decades are played instead of numbers. As of January 2019, we are excited to have committed ourselves to raise £5,000 which will result in us funding a family room in Play2Give's name, which we are very excited about - and with your help in fundraising with this this vision can become reality! 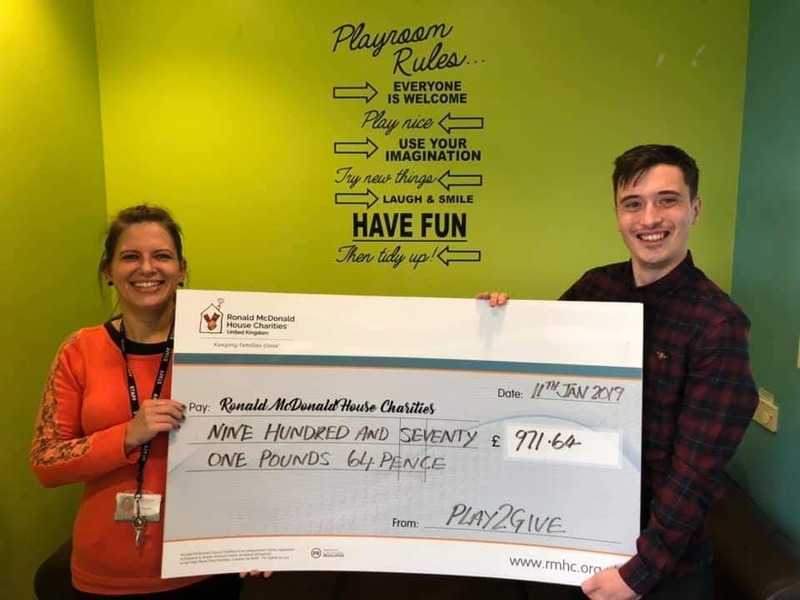 Andy presented Lucy at Ronald McDonald House Oxford, with our second cheque of 2018 - raised from various other fundraising efforts, which included supporters running and walking to raise over £1,955 in total throughout the year. 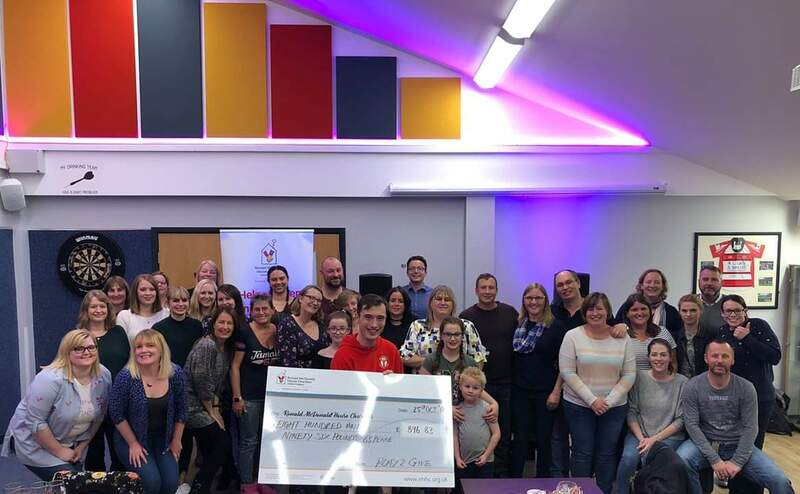 We raised £280 from our first Rock and Roll Bingo Night, held at Didcot's Boundary Park in late October, which with a danceathon earlier in 2018 saw Andy present the first cheque to the House for £916.83, pictured with rock and roll bingo participants.